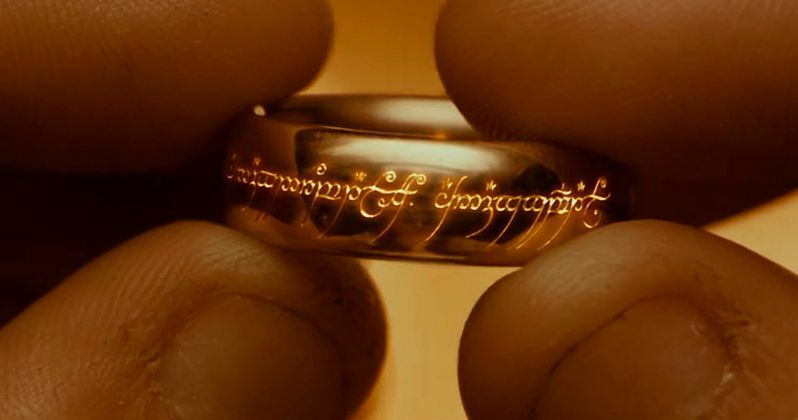 Earlier this month, it was confirmed that Amazon has acquired the highly-anticipated Lord of the Rings TV series, with the show landing in a competitive bidding situation. While it was never revealed who the other parties bidding were on the series, which hails from Warner Bros. Television and the estate of J.R.R. Tolkien, HBO CEO Richard Plepler revealed during an appearance at Business Insider's Ignition 2017 media conference in New York, that the network actually passed, before Amazon landed the Lord of the Rings prequel. While that may seem surprising, the CEO had a very good reason for turning away the project. Here's what he had to say below. "I'd rather own our IP [intellectual property] 100%... and I'd rather have the ability to work with a product that is inextricably linked to our brand." While a Lord of the Rings show would seem like a no-brainer for a network like HBO, especially with the Game of Thrones final season currently in production, Richard Plepler's statement does make sense. The premium cable network wouldn't be able to own the entire show, with Warner Bros. Television and the J.R.R. Tolkien estate in the mix. While a Lord of the Rings series would certainly cater to the same type of audience that watches Game of Thrones, the LOTR stories aren't exactly known for being "edgy," which is more in HBO's wheelhouse. Shortly after the Lord of the Rings series was confirmed at Amazon, which was a multi-season deal, another report surfaced that claimed that the show could cost Amazon $1 billion when it all was said and done. The streaming service reportedly paid $250 million just for the rights alone, and with all of the production costs involved, it could reach a whopping $1 billion, although it isn't known how many seasons that figure is supposed to encompass. When asked about the whopping price tag, Richard Plepler said that figure is like, "Monopoly money" to Amazon CEO Jeff Bezos. As for the show itself, there will be no overlap with the iconic Lord of the Rings movie trilogy, or even The Hobbit movie trilogy that is set before the original trilogy. This television adaptation will take place somewhere between both trilogies, set in Middle Earth, and will explore new storylines preceding J.R.R. Tolkien's The Fellowship of the Ring. The deal includes a potential additional spin-off series, although no details for those spin-off shows have been revealed. HBO is also developing a number of Game of Thrones spin-off shows although it isn't clear when those shows will be ready. It was recently revealed that Netflix will be spending a whopping $8 billion on original content next year, which represents a quarter of HBO's programming budget. To stay competitive with the streaming giant, Richard Plepler plans to keep building a brand that focuses on, "curated excellence," and not so much on an overwhelming amount of content. Richard Plepler also stated at the conference, courtesy of a Variety report, that they are on track for the biggest year in network history, in terms of subscriber and revenue growth.